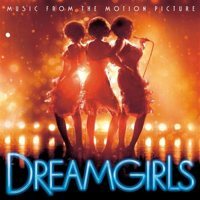 For the epic movie Dreamgirls, I had the chance to do some preproduction sequencing and programming on a few of the songs. Dreamgirls is a Broadway musical, with music by Henry Krieger and lyrics and book by Tom Eyen. Based upon the show business aspirations and successes of R&B acts such as The Supremes, The Shirelles, James Brown, Jackie Wilson, and others, the musical follows the story of a young female singing trio from Chicago, Illinois called “The Dreams”, who become music superstars. The musical opened on December 20, 1981 at the Imperial Theatre, and was nominated for thirteen Tony Awards, including the Tony Award for Best Musical, and won six.